With only 4 matches to be played, the title race and a permanent place in the top 4 of the league table are still very much unpredictable. Liverpool returned to the top of the Premier League table on Sunday after beating Chelsea 2-0 at Anfield. A well-struck header from Sadio Mane and a glorious long-range shot from Mohammed Salah gave Liverpool a two-point lead in the title race against City with a game in hand. Manchester City also emerged victorious earlier in the day with a 3-1 victory over Crystal Palace at Selhurst Park. Pep Guardiola’s men have the toughest route in reality as they must face the likes of Tottenham Hotspurs and Manchester United – who are desperately fighting for a place in the Champions League next season. The Premier League title race is likely to go down to the wire but below these two teams, an equally thrilling battle for a place in the top 4 is still going on. Tottenham Hotspurs currently sit third following their 4-0 thrashing of Huddersfield on Saturday. Chelsea hold fourth, despite a 2-0 defeat at Liverpool, but have played more matches than their rivals. Manchester United climbed up to fifth after two penalties gave the Reds a 2-1 win over West Ham. However, Arsenal are not far behind as they are only trailing by one point having played fewer games. So which two teams will take third and fourth and who will settle for Europa League football? Without their top scorer Harry Kane up in front, Tottenham managed to find a new style of football and produced a brilliant performance last weekend. It was Lucas Moura who spearheaded Pochettino’s side to triumph over Huddersfield with a hat-trick. Tottenham must keep up the pace if they are to remain within the top four. Recent defeats to Burnley Fc, Chelsea, Southampton and Liverpool have pulled the Spurs back but are still holding onto third place for the time being. Chelsea boss Maurizio Sarri saw signs of vast improvement in his side, despite their defeat at Anfield. The Blues were on good form before last Sunday but are now hanging onto fourth place with only 4 games left. Manchester United and Arsenal are very likely to surpass Sarri’s men especially if Chelsea do not manage to win at Old Trafford next week. Manchester United probably have the toughest route to the final top 4 but with Ole Gunnar Solskjaer at the wheel, we must not count out his side just yet. The upcoming fixtures will determine if United will even end up going to the Europa League at all. United also have a role to play in the title race as a win in the Manchester derby can be the factor which allows Liverpool, their arch-rivals, from winning the Premier League title. 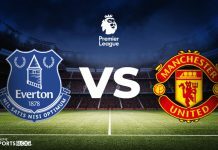 United will also travel to Camp Nou on Wednesday in an attempt to redeem their one-goal deficit to face either Liverpool or Porto FC in the semi-finals of the UEFA Champions League. Arsenal manager Unai Emery says the fact that Arsenal are competing for a place in the top four is evidence that his team has a strong mentality, but admits that Arsenal can still improve away from home. 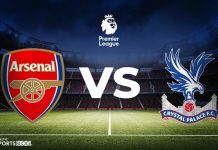 The Gunners face Watford tonight in a game which could put a real dent in their chances of Champions League qualification via the Premier League or put them up into fourth with renewed vigour for their remaining domestic games this season. It comes on the back of a positive 2-0 win over Napoli in the Europa League but with the memories of their defeat at Goodison Park still fresh in their mind, Arsenal will not take this one easy.